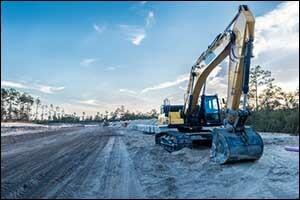 Use of hydraulic equipment and machinery in New England comes with hazards that businesses in warmer climates might not understand. Extremely cold environments and common weather conditions that are experienced here, such as snow, ice, and high winds, can all become a cause of hydraulic hose failure. Make sure that your Greater Fall River hydraulic hoses are rated for extreme temperatures and consider switching out the replacement of hydraulic hoses that you use in the summer for something designed more for outdoor use in the winter. Sometimes all it takes is a new hydraulic hose assembly to make a big difference in the safety of your hydraulic equipment in the winter. You will see a lot of information about what extreme heat can do to a new hydraulic hose assembly. Liquids at high temperatures and under high pressure can be very dangerous to employees and equipment. However, extremely cold environments and regions that experience all of the snow, ice, and high wind speeds that we get here in New England, can also be a hazard as well. It is possible to purchase custom hydraulic hose assemblies for your equipment and machinery that are rated to withstand temperatures well below zero to help take into account the additional effect that the cold winds, snow, and ice can cause. Basic rubber hoses will experience a change in material characteristics when it becomes extremely cold. This can still happen even if the material has been rated for very low-temperature limits. When the rubber is cooled to a permanently low temperature, there is a greater risk of hydraulic hose failure because the hose itself has become hard, stiff, and has lost its elasticity. Hoses under extremely low temperatures might even begin to decompose or work at a reduced performance under thermal loads that they were once able to handle. It is important for employees and inspectors to understand this so they can make adjustments accordingly when lower temperatures arrive and remain for any length of time. It is important to watch for cracks, which can occur even in a low-pressure application. However, when your Greater Fall River hydraulic hoses are under medium-pressure or high-pressure, inspections should occur even more frequently. A regular visual inspection should be made when the temperature dips below zero. Even small cracks can reduce the service life considerably and require a new hydraulic hose assembly. Failure or fluid leakage will definitely happen if the temperature exceeds the acceptable range for the rubber compounds. Speak with employees who use hydraulic equipment or machinery outdoors in the winter months and make sure that they understand about the essential replacement of hydraulic hoses when wear and tear are noticed. Enforce safety regulations and make sure that nothing gets overlooked with regard to inspections and replacements to prevent a serious hydraulic hose failure. Make sure that all employees know about first-aid and safety in the event of a failure. Penetration of hydraulic fluid into the skin can result in a serious health situation and can even lead to death. When in doubt, replacement of hydraulic hoses should occur as soon as the cooler weather arrives. Speak with one of our technicians at Metro Industrial & Marine Supply about which Greater Fall River hydraulic hoses should be used on your equipment or machinery. We can help provide you with custom hydraulic hose assemblies while you wait or offer same-day services so you can come back and collect your new hydraulic hose assembly. If you are interested in learning more about our services to help prevent hydraulic hose failure or rapidly replace a failed or failing hose, give us a call at 508-996-8400. Our technicians can answer any questions you might have about hydraulic hose assemblies and help you choose the best solutions for your equipment. We also carry a wide range of additional products, including bearings, compressors, and marine supply. Other industrial supplies, including power transmission, batteries, and chargers, are also available to meet all of your needs. Call or stop by today at our New Bedford location.